OPPO F11 Pro launch seems Imminent. We have been getting a lot of teasers about this upcoming handset. OPPO is expected to launch this handset in India in the first week of March. 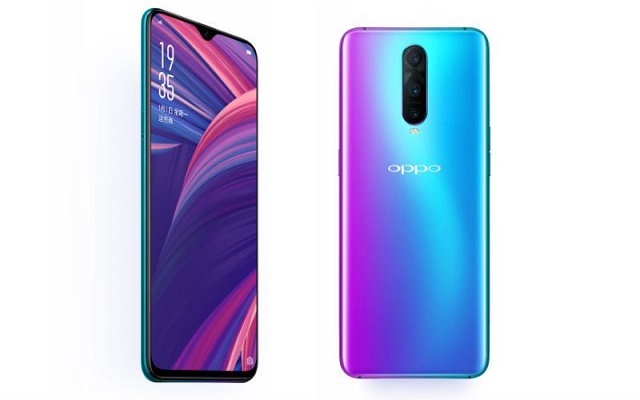 Recently, OPPO F11 Pro Specs Sheet got leaked unveiling all the specs and features of the upcoming handset. Recently, OPPO F11 Pro got leaked in full. We got our hands on its specs sheet that contains all the information about the upcoming flagship by the company. Let’s have a look at that. According to the latest reports, the phone measures 161.3 x 76.1 x 8.8 mm and weighs 190 grams. The handset will feature a 6.5-inch TFT-LTPS display, with a resolution of 2340 x 1080 pixels. In addition to that, it will be powered by MediaTek Helio P70 chipset. Furthermore, it will sport 6GB of RAM and 64GB or 128GB of onboard storage. Oppo F11 Pro will have a big 4,000 mAh battery cell to keep the lights on. Moreover, it will have a complete VOOC Flash Charge 3.0 support. The OPPO F11 Pro color options includeThunder Black and Aurora Green. In addition to all this, the phone will have a 16MP, 1/3.1″ sensor, behind an f/2.0 lens. It will have a 48MP, 1/2.25″, f/1.79 that will most likely be the Samsung ISOCELL GM1 or the Sony IMX586 sensor. Together with that, it will also sport a secondary 5MP, 1/5″, f/2.4. The phone is said to be a selfie expert due to its 48MP Camera on the front and motorized selfie snapper. The phone is expected to see the light in India on March 5.